At first glance, Oskaloosa may seem like your typical small Midwestern town, but in their case, appearances can definitely be deceiving. Home to a rich musical heritage, the city band will be celebrating its 150th year in 2014, making it the oldest municipal band west of the Mississippi River. The city is also headquarters for some major companies, including Musco Lighting, which not only services events around the world, but also provided lighting for Ground Zero during rescue efforts after the September 11 attacks. To represent their anything-but-ordinary community, the City of Oskaloosa needed a website that also defied expectations. Previously, the city had a basic point-and-click website that offered no interactive component for residents. Very few forms or services were provided online, and with only one staff member having the ability to update the site, keeping content fresh and relevant was challenging. 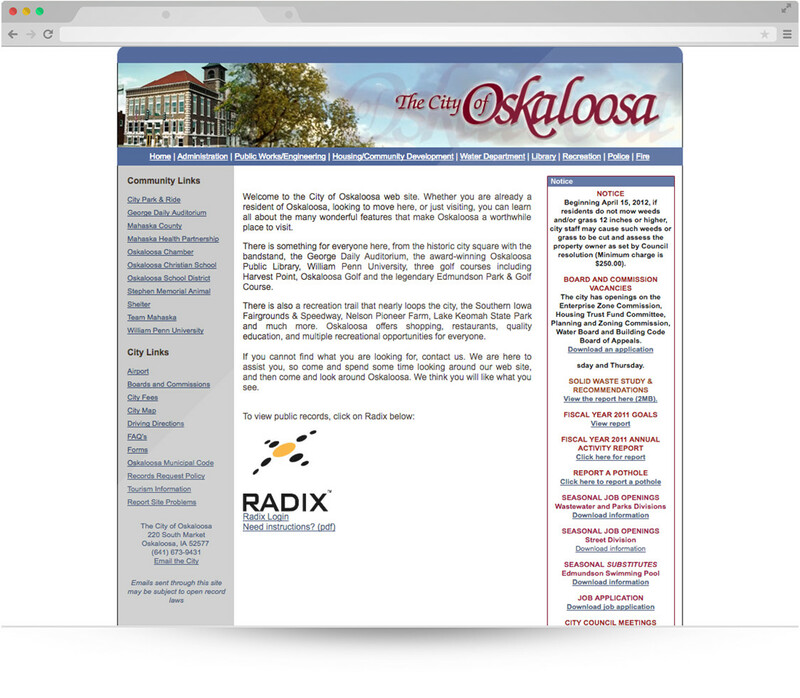 When looking for a new solution, the City of Oskaloosa knew they wanted to bring their website into the 21st century, and give citizens a more useful and engaging online platform. With their CivicPlus site, the City of Oskaloosa not only has an online presence that looks professional and reflects their culture, but more importantly, enables them to serve their citizens better. The ability to access a wealth of information quickly and easily means fewer frustrated residents and less time on the phone at city hall. Notifications and alerts on things like snow emergencies and burn bans are delivered directly and instantaneously to residents, helping them stay informed and take appropriate action. By integrating social media within their site, the city is working on reaching their younger population and getting them more involved and invested in local matters. 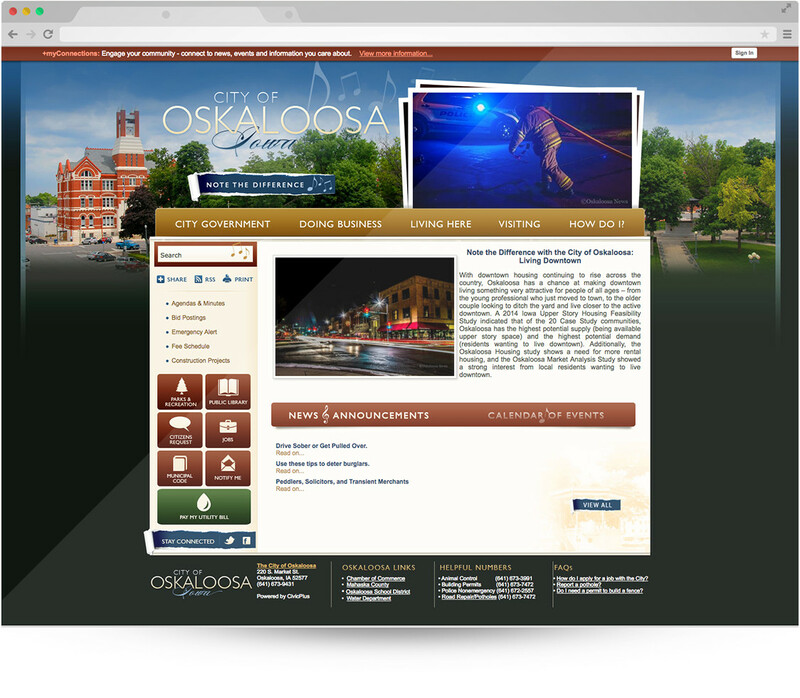 Using their website to educate and engage their public, the City of Oskaloosa is moving forward in an exciting direction.